Click here to view our hand selected and carefully prepared vehicles available now! Most are RACQ Inspected already for your total peace of mind. Looking to sell or trade in? Click here, send us your details and one of our trained staff will contact you shortly. Need a loan? Click here for our industry leading finance options. We also have a range of services to support you through your car buying and ownership journey. Looking for the best place to buy a quality Used Car in Brisbane? 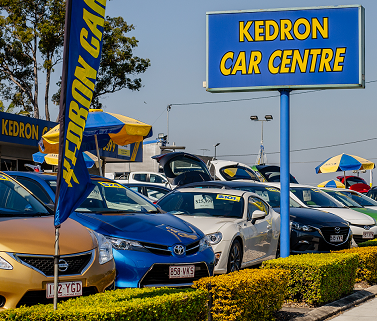 Visit us at Kedron Car Centre, your local family-owned and operated used car dealership. We have been providing cars in Brisbane and throughout Australia for over 20 years, earning an excellent reputation in the community. We are a one-stop-shop offering high quality RACQ Inspected vehicles, on-site finance and extended warranties for absolute peace of mind and to save you time and hassle. We are the number one supplier of quality used cars in Brisbane because it is what we specialise in. We live and breathe used cars. We source only the best used cars. And we ensure you leave here with the best car to suit your needs. We are proud to have been listed by RACQ as one of their approved dealers in Queensland for a number of years adding peace of mind when you purchase a used car from us. At Kedron Car Centre we also offer a fantastic range of Services to make purchasing a used car as easy and hassle-free as possible. Our team can organise competitive finance packages to assist you in driving away in your new vehicle sooner. We can also arrange cost-effective interstate delivery if required and of course we have RACQ Inspections ready to go! Join the thousands of Australians we now call our family and make Kedron Car Centre your first stop when buying a used car. Contact us today to learn more about our cars or to enquire about our services.